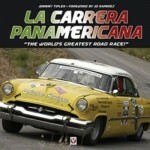 There is a new publisher of automotive titles. 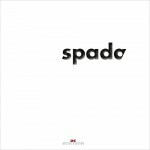 But as the owners of this new company are not strangers to either their individual functions or to automotive publishing itself, it is not surprising that their first books out the door are just splendid. The publishing house calls itself Evro. Its first book to be released was Karl Ludvigsen’s on Reid Railton, as reflected by its title. The story, and the manuscript that Ludvigsen produced, merited it being produced as a two-volume boxed set. And though Evro’s second book is a single volume, it is no less special for it deals with the professional career (to date) of one David Wishart Hobbs, known familiarly in the racing community as Hobbo, thus the title of this autobiography by David Hobbs. Being a racecar pilot was Hobbs’ focus since they were teenagers, his wife recalls. She, Margaret by name but prefers to be called Mags, should know for they met when she was 16, he 18. Achieving his goal, he was a workmanlike driver with his share of podium finishes over his 20+ years driving competitively in numerous racing series and cars. But as Mags notes too—and especially important to her and their sons—he was a prudent driver. When later a microphone was put in his hands, Hobbs’ pleasant, positive demeanor coupled with his “bit of the ham” personality and glib wit made him a natural and easy racing commentator. His broadcasting career now approaches the 40-year mark. As the story goes, it took the combined communications skills of a small army, and some number of years too, to bring Hobbs’ book to reality. Mags started it all by urging and encouraging Dave (as she calls him) to tell his story. So gradually Hobbs started assembling his thoughts, notes, and recollections. As his driving career morphed into broadcasting, Bob Varsha became a coworker and the two developed a friendship. Varsha put in some time and effort to try to order and organize Hobbs’ thoughts. Hobbs refers to him as his book’s “instigator” though the project lapsed until another fellow broadcaster and a journalist with deep experiences in racing named Andrew Marriott took over the fine-tuning and tweaking of the manuscript making it publishable. That’s also when the next obstacle and delay occurred as the initial publisher “ran into problems.” Neither publisher nor problems are identified but it was a happy day for all (writers and readers alike) when Evro picked up the project as the result is in all ways first rate; entertainingly readable with visually handsome pages in a quality binding. 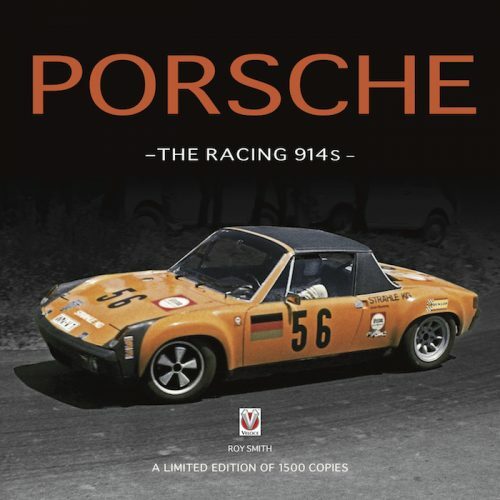 The book’s formal launch was at the 2018 Amelia Island Concours. Whether you prefer the words “workmanlike” or working driver, describing Hobbs’ driving career providesthe definition because it was his profession, the sole means by which he earned his living and put bread on the table for his family, Mags and their two sons. That meant the reality was Hobbs drove a dizzying array of cars in an alphabet soup of series—or as he so aptly phrased it, “juggled driver’s suits as he criss-crossed the Atlantic.” He could, and did, spend weeks often amounting to months of any given year away from home to fulfill contracts to compete internationally thus earning the living that ensured he really was his family’s breadwinner. A decade prior to Hobbs formally retiring from that active racecar driving career, he’d recognized that day would come. But he also knew that retiring from driving wouldn’t end his need to earn a living so, ever pragmatic, he’d begun first exploring becoming and then actually transitioning to a racing broadcaster/commentator. In turn that also led to various public speaking and event hosting gigs. With the broadcasting employers primarily in the USA, in 1994 he and Mags opted to make a permanent move from the UK to US. Hobbs also ventured into the business world of new-car-dealership owning. His first foray had mixed results and formed the proverbial learning curve. Ultimately he settled on a Honda dealership in a suburb of Milwaukee and discovered that merely lending your name to a dealership was not necessarily the road to success. Converting the Hobbs family to owner-operator with son Greg, initially as head of the parts department then eventually managing overall operations, was the road to success. Not to mention the dealership is located a quick 30-minute drive from another road, the Road America racetrack! Hobbo Is a pleasurable and pleasant, well-illustrated read. And as it is properly indexed, it’s easy to go back and find points you may wish to refer to again. Included as well is an appendix of “favorites” with short lists of some of Hobbs’ favorite cars, people, and race tracks. As others have observed, and a reaction with which your commentator concurs, the time spent reading feels much as though you’ve invited the two bylined-authors—racer-turned-broadcaster David Hobbs and journalist-broadcaster Andrew Marriott—into your own living room for a visit, and a visit thoroughly enjoyed by all participants at that. 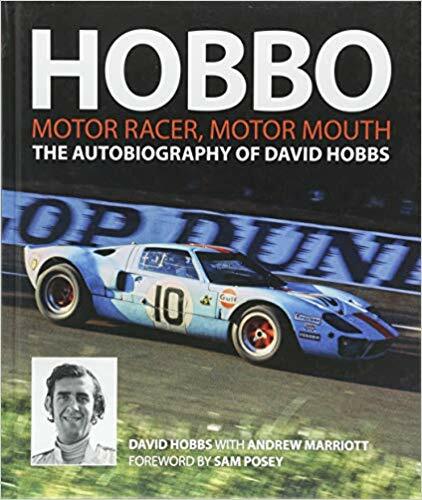 And of course there’s always this: David Hobbs’ book Hobbo may have reached an end but his life certainly hasn’t. So, perhaps there will be a sequel one day and another reason to invite him into your parlor for a good visit.